Despite how almost universally adored Pokemon Go is, creating some heartwarming scenes around the world as it brings people together, there’s no denying that it has its many, many flaws. So many so that it’s hard to look at it as a finished product – it resembles more of a demo in its current state. Using pioneering augmented reality technology and GPS tracking, players are able to hunt down Pokemon in their cities, towns, villages, caves, huts; almost anywhere you can think of with a strong mobile data connection. Instead of battling Pokemon with their own, however, players simply have to throw a Pokeball at them in a case of trial and error. It isn’t perfect, but it works (just about). The Pokemon you catch can then be powered up in terms of CP and HP, making them meaner and more powerful so that you can take on gyms dotted around your area. These, along with Pokestops, where you can find supplies, are usually landmarks that are easy to find. In my small Welsh town, there’s pretty much a Pokestop around every corner as it’s a tourist town with plenty of history. For those living in suburbia, coming across supplies is a much trickier proposition, which is where microtransactions come in. Although it’s far less aggressive than other free-to-play games with its model, microtransactions are still positioned in such a way so as to be difficult to resist. Feeling too tired to walk down the road for a Pidgey? Buy a Lure Module for 79p, place it on a PokeStop and watch as they come to you. My town looks like a Prince concert at night with flashes of pink everywhere as groups of people sit in their cars near PokeStops and pile on the Lure Modules. Hunting down Pokemon is one of the most gratifying feelings I have had with a game all year; adding new entries into the Pokedex makes me want to be eight years old all over again. Pokemon Go has mastered that hard to replicate feeling of nostalgia, which will no doubt lead to the second coming of the franchise. It’s brought people together, made lapsed fans remember why they loved Pokemon to begin with, and, probably best of all, made people exercise. 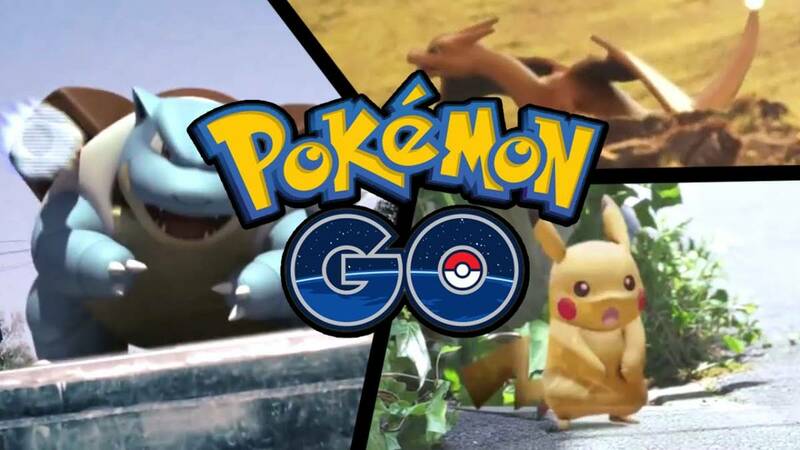 Pokemon Go is a game-changer, one of the biggest cultural phenomenons of the decade so far. There’s a huge “but”, though. Pokemon Go, as endearing and refreshing as it is, has far too many flaws. At the best of times, you’re hoping that it won’t crash due to how buggy and unresponsive the app can get. At the worst of times, you’re bent over crying in the middle of town because Charmander has disappeared due to an error, or caused the game to implode when you’re trying to catch him. It’s impossible to count how many times the game has frozen up on me just as I’m about to catch a rare Pokemon, killing my immersion in the process. The game is also severely light on the features promised in marketing materials. There is no Pokemon trading mechanic in place, especially annoying when my girlfriend has better Pokemon than me – I need her Alakazam. Real-time battles would also be a nice addition, meaning you can go up against other trainers as and when you bump into them. It’s also a crying shame that Niantic had to drop the battle system that has made Pokemon what it is. Instead of choosing moves in turn-based battles, you simply have to tap the screen to hit other Pokemon and swipe left and right to dodge. It’s pretty weak. The servers for Pokemon Go must be wired up with a potato and an empty cereal box. Hours have been spent simply waiting for the thing to load, leading me to exclaim that I won’t ever return to it, but I do. Despite how deeply flawed it is, Pokemon Go refuses to let you go – it has a sense of magic and wonder that’s almost impossible to quantify, to point a finger at and say “that’s it”. If Pokemon Go had more polish and just more to it, it could not only go down as one of the biggest games of the year, but also the best. As it is, it’s too broken to be in serious contention, but that isn’t to say that you should avoid it altogether. Are you one of the five people left in the world who hasn’t played it? You should fix that. Where Does The Pokémon Film Franchise Go After Detective Pikachu? More Detective Pikachu movies, or are we going back to Kanto? Maybe somewhere else? Coming to the Nintendo Switch this year.